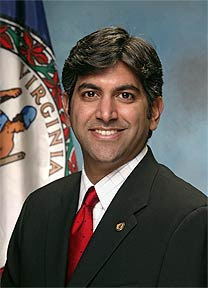 Although Aneesh Chopra is a new name for most, he is well know in Virginia as Governor Tim Kaine’s Secretary of Technology. For the Commonwealth, he was charged with leading the state’s strategy to effectively leverage technology in government reform. If his strategy for the state can be used as an indicator for his plans in President Obama’s administration, you should take a look at Virginia’s Strategic Plan for Information Technology. One of the state’s most successful recent innovations was the Virginia Information Technology Agency (VITA), the Commonwealth’s consolidated information technology organization. Not your typical government agency, VITA is actually a public-private partnership between Virginia and Northrop Grumman. “The 10-year, $2 billion public-private partnership between VITA and Northrop Grumman is transforming state government’s IT infrastructure technology and providing the expertise and resources to support improved delivery of government services. Believed to be the first and the largest of its kind in the nation, the IT Infrastructure Partnership will deliver state-of-the-art technologies with significant resources for the benefit of citizens and consumers. VITA and Northrop Grumman formed a public private partnership to provide the latest information technology services to Virginia state government. Northrop Grumman is responsible for the service delivery of the Commonwealth’s IT infrastructure needs, with oversight from VITA. It also provides the essential up-front private sector capital that otherwise would not be practically available to the Commonwealth. That capital enables the transformation of the IT environment and provides for ongoing refreshes to keep it in step with future technology advancements. Mr. Chopra’s background with VITA seems to be a match for Vivek Kundra and the apparent vector towards Federal cloud computing. A VITA-like Federal agency may, in fact, be the perfect model for managing the coming government cloud.